1. How a book is made - pupils learn about my Writing Recipe, see plans, drafts, proofs etc. 2. Join in with Julia! - an interactive hands-on session based on picture books. Meet my cuddly characters, sing the cross pirate song, run away from the anaconda and join in with my stories. 3. Tell me! Children question me about one or more of my books that they've read. A lively discussion ensues. I'll mix and match to suit specific audiences. NB I'm now taking bookings for Summer and Autumn 2018 and Spring 2019. NB I'm not yet booked for World Book Day. March 7th 2018, but I have taken my first booking for that week. Book soon if you want me during that busy period. 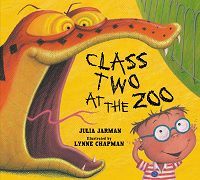 'I first met Julia Jarman when I invited her to our school Book Week. The library had recommended her and I saw why. She was brilliant! All her sessions were entertaining and informative. The children rushed off afterwards to read her stories or write their own.' V. Pearce, Head, Beaudesert Lower School. I have written lots of books, a few for teens, the majority for infant and junior children. Historical Novels Review described 'The Time Travelling Cat and the Egyptian Goddess', first in the series starring Ka the time travelling cat, as 'a bright lively read for 8-12 year old'. Kids Out said the series, 'Might do much to spark a new interest in history.' 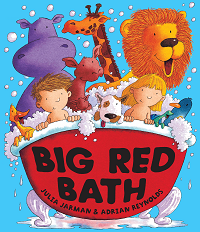 My picture books have been read on television's Bookaboo and Big Red Bath was adapted for the stage. My latest, Fussy Freda, is a cautionary tale about unhealthy eating. A read-aloud animal romp with great pics by Adrian Reynolds. Good for many topics. Can Topher find Ka the time-travelling cat in Ancient Egypt before she is sacrificed to the goddess Bastet? Magical story for children who enjoy darker side of fairy tales. When Class Two go to the zoo they don't notice the huge snake following them . 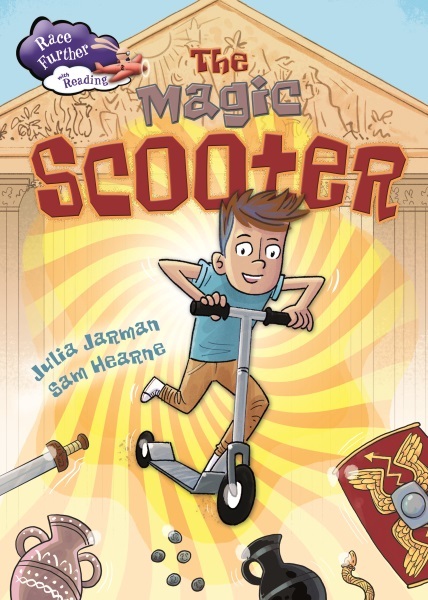 . .
Caspar's time-travelling scooter takes him to Ancient Rome.